During the press conference at Serena Hotel, Diamond Platnumz talked of how he felt this was going to be his best concert ever, and indeed, he gave it his best shot, but the guests were not that impressed. His band and dancers did a great job, but for some reason, the fans were bored save for a few songs like 'Salome' and 'Marry You' and of course, his very latest, 'Hallelujah'. Most comments on social media seem to suggest the show fell short, and those who said otherwise were citing the aspect of Ugandans not appreciating Swahili music, but they were quick to silence them, saying that with music, you don't even need to know the language before you appreciate a song. Chameleone has done some songs in Swahili, but they are good food for the ears. KCCA's Executive Director, Jenipher Musisi, was asked why of all International artists they chose Diamond Platnumz, this was her response; "We consulted widely from those who are conversant with the entertainment industry and they all recommended Diamond..."
The budget that is making the rounds online has Diamond Platnumz receiving Shs 160million against the Shs 20million that was to be shared amongst all the local artists that performed. Da Agent, an upcoming artist worked up the crowd more than Platnumz according to some fans. 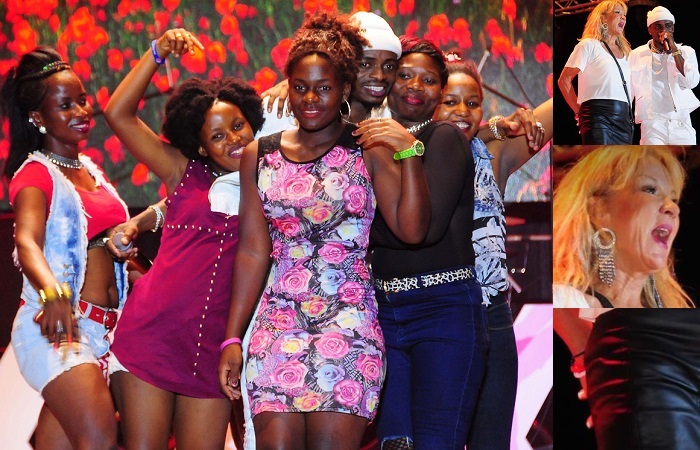 Sheebah, Irene Ntale, Gravity Omutujju, Levixone, Ykee Benda, B2C, Cindy were some of the local artists that thrilled the fans. 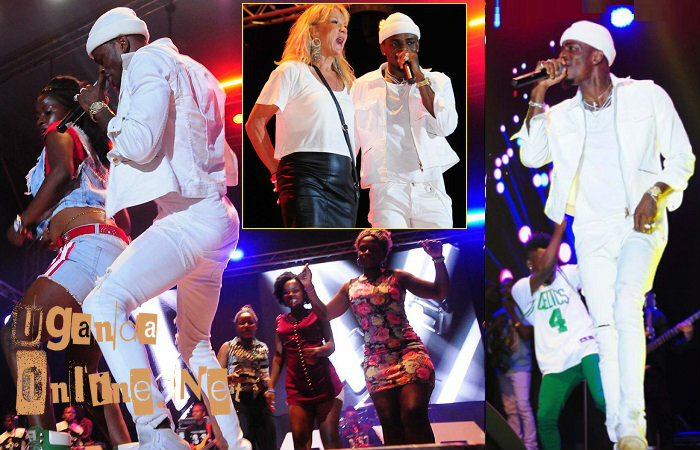 Platnumz was all clad in white doing his thing, he hit the stage at about 10:30pm and this being a KCCA event, it could not go beyond midnight. At some point, he paused a bit and told his fans that he was hearing a lot of stories, but not those ones, I hear Ugandans are good at shaking their 'assets', he added before inviting four ladies on stage. Many thought he could talk about his baby mama who was missing, but with social media, he did not need to explain as everything was there for anyone to see, his house was on fire and the reason he failed to live up to the hype. Platnumz and Zari now do not see eye-to-eye. When he recently revealed that he had sired a child with his video vixen, Hamisa Mobetto, Zari was so heart broken, but since he had apologized, things were kind of shaping up. Platnumz had a series of parties for his birthday, sponsored Hamisa Mobetto's 40-day-party, but he had not given his children with Zari a similar treat, she had to cut all the communication including unfollowing him on all social networks.